AP LAWCET 2019 Application Form: AP PGLCET or AP LAWCET 2019 Admission official notification will be released by Sri Krishnadevaraya University, Anantapur on the behalf of APSCHE, Hyderabad. You can Apply Online for AP PGLCET if you are interested to pursue PG LLM course. 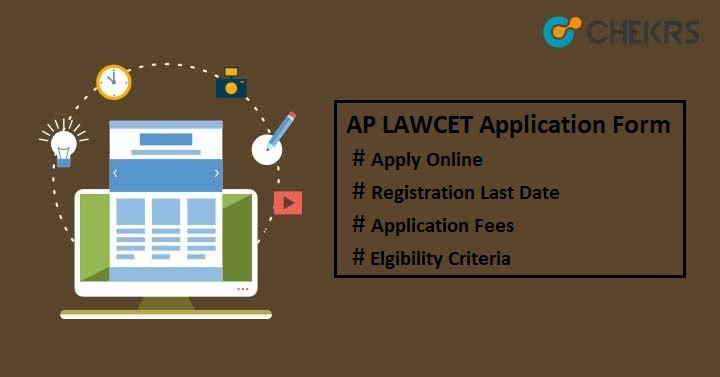 Latest Update: AP LAWCET 2019 Application Form is Available Online. Fill it before the last date. Latest Update: AP LAWCET 2019 Notification Released!! The application form will be available from 16th March 2019. Candidates aiming to enroll in different law universities or colleges of AP State for 3 years or 5 years BL /LLB course can register for AP LAWCET exam. The form will available on the official website and can be filled up through online mode only. Here we have shared the detailed information related to AP LAWCET Registration, exam date, procedure to fill the application, eligibility etc. Aspirants must ensure the AP LAWCET Eligibility before proceeding for the application form. Those having domicile of Andhra Pradesh can apply for AP LAWCET. For 3 years BL/ LLB programme, candidates must completed his/ her graduation from in any discipline with minimum of 45% aggregate in marks from recognized university. For 5 years BL/ LLB programme, students need to complete higher senior secondary education from central or state board with at least 45% aggregate marks. Candidates must hold BL/ LLB degree with at least 50% aggregate if applying for 2 years LLM course. SC/ ST candidates have relaxation of 5% in marks. Follow the mentioned guidelines to fill LAWCET & AP PGLCET Application form. Click on “Fee Payment” option available on the home page. Enter the required empty field, choose course and then click on “initiate payment”. Select option net banking/ credit card/ debit card, enter card details and then click on “Pay Now”. You will see popup on screen with successful payment message and Payment reference ID. Click on “Proceed to Fill Application” to go to the application form page. Candidates can also pay the fee through cash at nearest APOnline center and in return get receipt form from the center. Again visit the same portal. Go to the tab “Know Your Payment status”. You will see successful / failure message on the screen. Enter the details like Payment reference ID, qualifying examination Hall ticket number, Mobile number and date of birth and then click on “Proceed to fill application” button. It will take you to the application form page. Enter the all mandatory field with correct information, select test center as per your preference, and tick to the declaration message. Upload passport size photograph & signature as per given formats. To save the entered data, click the “Save” button or you can also click on the “Preview and Submit” button to submit the form if you are sure about the information you entered. After submitting the application form, you will see 2 pop-up buttons “Modify” & “Confirm/ Freeze”. To modify the information, you can click on “Modify” button. Or you click on “Confirm/ Freeze” button to submit the form finally. Note down your registration no & click on “Print Application” button to take the print of filled-in application form. Hope we have provided the sufficient information related to AP LAWCET 2019 Application Form. In case of any queries or reviews, leave your message in the comment box below.